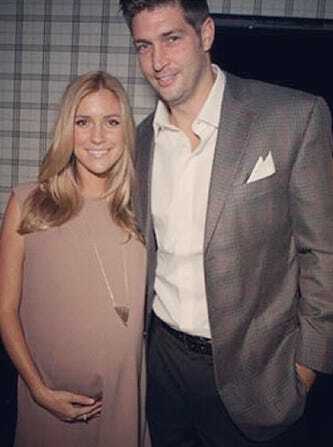 It hasn't even been two years since Jay Cutler and Kristin Cavallari welcomed baby Camden into their lives and they're already expecting another little one! Cavallari confirmed her pregnancy via Instagram, writing that her whole family is "so excited for Camden to be a big brother!" Cavallari wed her Chicago Bears quarterback beau this past June in a ceremony that could hold a candle to Kelly Clarkson's. "We’re talking about having another baby soon," she told People last year. "We want kids close in age." She's also previously expressed how Cutler eventually wants four kids. According to Cavallari, she and Cutler want three boys and one girl, but will "be happy with anything."